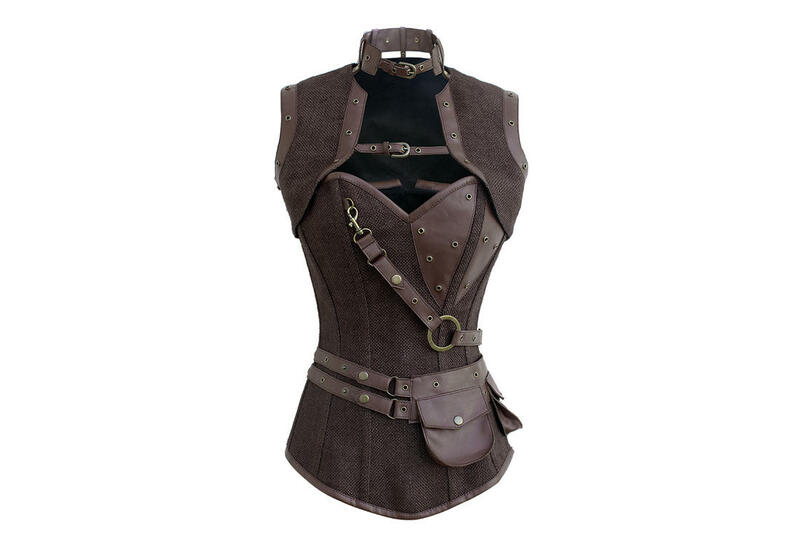 This attractive brown jute Steampunk corset has a detachable jacket, detachable utility pouch belt and side suspender. 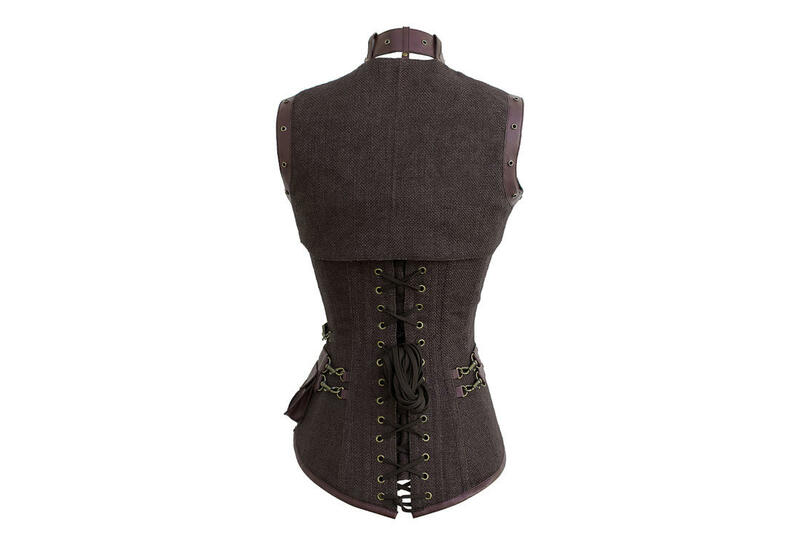 This corset has a YKK zipper and is lined in cotton for comfort and durability. 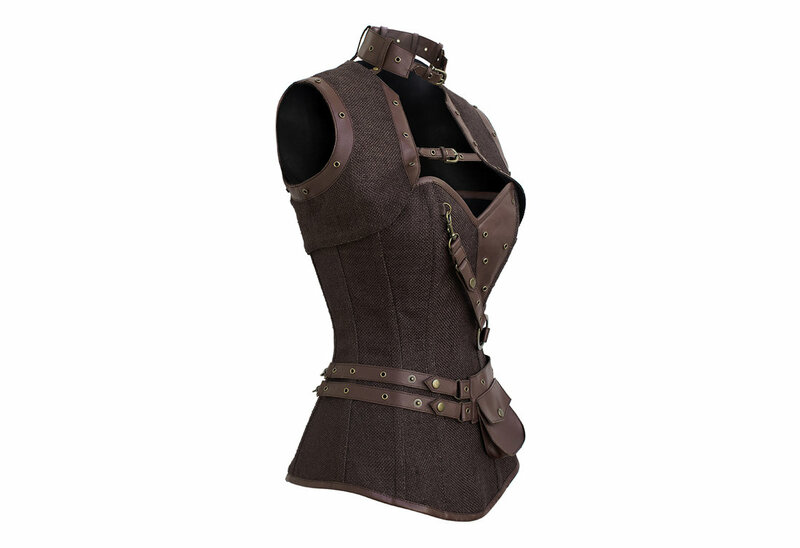 The Corsair corset is fully steel boned. I order mine a week ago and it came in just days. Super fast. 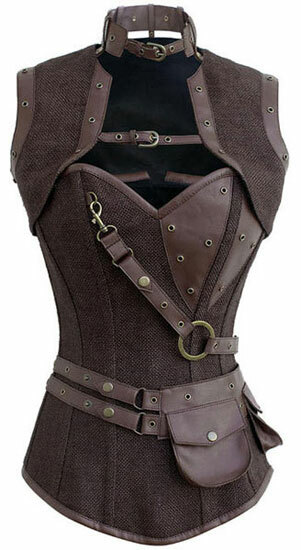 The corset was awesome, fit great and they even taped the box with a pull tab with a hand written "Pull here" note so I didn't have to use a knife and possibly cut my new corset. Awesome job Rivithead!